This term year two are exploring the topic ‘Jurassic coast’. On Monday, something very exciting happened! 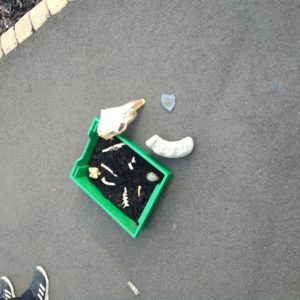 Outside our classroom door, we found some dinosaur bones! Year two have been using brushes and magnifying glasses to explore the bones further and we even wrote our own newspaper reports about the exciting discovery!